What are Age Spots? How Can You Treat Them? Have you noticed a cluster of tan spots on your skin? Have the spots appeared over time, and potentially with age? If you answered yes to these questions, you’re most likely experiencing age spots. And if you’re experiencing age spots, you’re in the right place. Here, we’re sharing everything you need to know about age spots. From what they are and how to treat them, we’ll cover it all. Age spots are also referred to as liver spots, solar lentigo, senile lentigo, and sunspots. They’re flat, tan or brown spots that appear on the skin as a result of excess production of melanin, or skin pigment. The name “age spots” perfectly describes these small dots on the skin, as they’re most common in older adults. However, anyone at any age is susceptible to developing them. How are age spots formed? As dermatologists, we’re not always certain as to why age spots develop. In some cases, age spots may develop from aging skin. For others, they may develop due to excessive sun exposure, or other forms of ultraviolet (UV) light exposure such as tanning beds. And in some scenarios, patients may experience age spots from a combination of both sun exposure and aged skin. As mentioned previously, the exact cause of age spots can be difficult to detect. Where do age spots form? At Arizona Dermatology, we treat age spots on a wide variety of patients. No matter your age, gender, or race—everyone is at risk of developing them. Although harmless, age spots can be frustrating. If you find that they impact your quality of life or self-esteem, we recommend treating your impacted areas. Appropriate treatment for age spots can enhance your self-esteem, improve your skin’s overall appearance, and promote healthier skin tone and texture. At Arizona Dermatology, we recommend combatting age spots with preventative treatments and dermatologist treatments. The best treatment for age spots is a preventative treatment. Preventative actions will reduce your risk of developing age spots from the get-go. To do so, make sure you’re applying sunscreen daily, wearing protective clothing, and avoiding tanning beds. Taking these actions early on will help you stop age spots in their tracks. IPL therapy, also known as photofacial, uses a skin resurfacing technique to deliver incredible results. The Palomar Icon system emits high intensity pulses of light that carry a range of lightwaves to the lower layers of the skin. In the process of bypassing the top layers of skin, the high intensity light converts to heat energy and begins breaking down your melanin pigments. The pieces of melanin pigment are then absorbed by your body to lift discoloration. IPL therapy produces visible results with little to no downtime. Chemical peels use a chemical solution to gently remove the outer layer of skin. After the procedure, new skin will develop where the old was removed. This new skin is usually smoother, less wrinkled, and free of age spots. Laser resurfacing is another effective treatment for age spots. The treatment uses a wand-like laser hand piece to diminish damaged skin cells. After treatment, these damaged skin cells are replaced with fresh, new skin cells. The recovery time can vary from three to 10 days, depending on how aggressive you are with your treatment. Cryotherapy effectively fades age spots with liquid nitrogen. The liquid nitrogen solution freezes your skin, causing age spots to naturally peel over time. Because cryotherapy is a more invasive treatment, recovery time is usually one to two weeks on average. Prescription medications and topical creams are other solutions for treating age spots. Some of the most common prescriptions include hydroquinone, an acne cream, and tretinoin, a bleaching cream. These prescription medications work to gradually fade age spots over time. However, keep in mind that changes from prescription medications happen with time. In some cases, changes may take up to several months to become apparent. Should I monitor my age spots? Yes, we recommend monitoring your age spots. As mentioned previously, age spots are completely harmless and do not necessarily need to be treated. However, freckles and growths caused by the sun are commonly mistaken for age spots. If you leave age spots untreated and it turns out that the spot isn’t actually an age spot but rather a freckle or growth, you run the risk of developing serious skin conditions, such as skin cancer. Because of this, we suggest monitoring all changes on your skin—including changes in your age spots—for any suspicious changes over time. 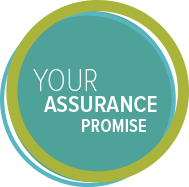 If you observe any abnormal changes, we recommend seeking a professional opinion as soon as possible. Age spots are more common than you think. Make sure you get the proper diagnosis and treatment for your age spots should you find yourself impacted by this skin condition. 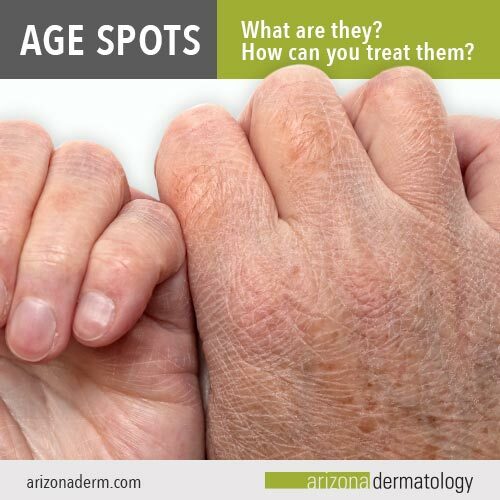 For more information on age spot treatments, contact us at Arizona Dermatology. Our compassionate and knowledgeable staff will be happy to help at any of our seven locations across the valley.